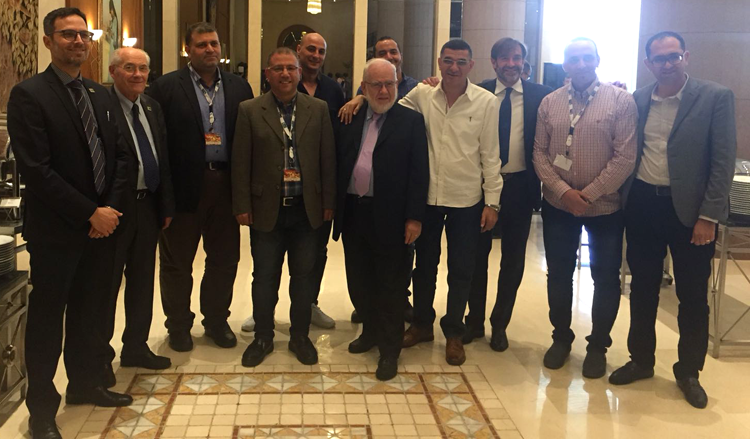 The first Egyptian Convention was organised by Storci in Cairo, on the 28th of April. The convention site was the prestigious Intercontinental Cairo Citystars Hotel. Our Company’s wish was to make available to the interesting Egyptian market all our know-how, our technology, innovations and prospects for the future in the pasta world. There were many participants and several speeches coordinated by Mrs Ilaria Tessoni, Storci Marketing Department: our President Mr Anzio Storci gave the go-ahead, welcoming all the guests; afterwards, Michele Storci took the floor, leading a speech about pasta production plants expressly dedicated to our Company’s solutions and proposals for Egypt. 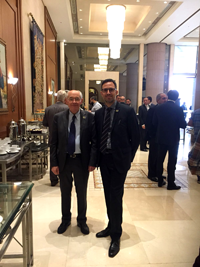 Alessio Marchesani, Storci Food Technologist, drew the attention to the high temperature drying technology, whereas Franco Antoniazzi, Food Technology Professor at University of Parma, made an overview of pasta productions in Egypt and worldwide. Last but not least, in this busy day, the speeches made by Ashraf El Sayed El Wasify, technical/sales Egypt manager and a representative of the National Bank of Egypt, who released information concerning the possibilities of financial support for new projects in Egypt. The convention was sponsored by the Union of Chambers of Commerce and Regional Authority of Emilia Romagna. The event did generate a great interest and our Staff answered many questions referred to dry pasta lines as well as instant pasta, couscous, fresh pasta and ready meals, that awakened remarkable curiosity among the participants.